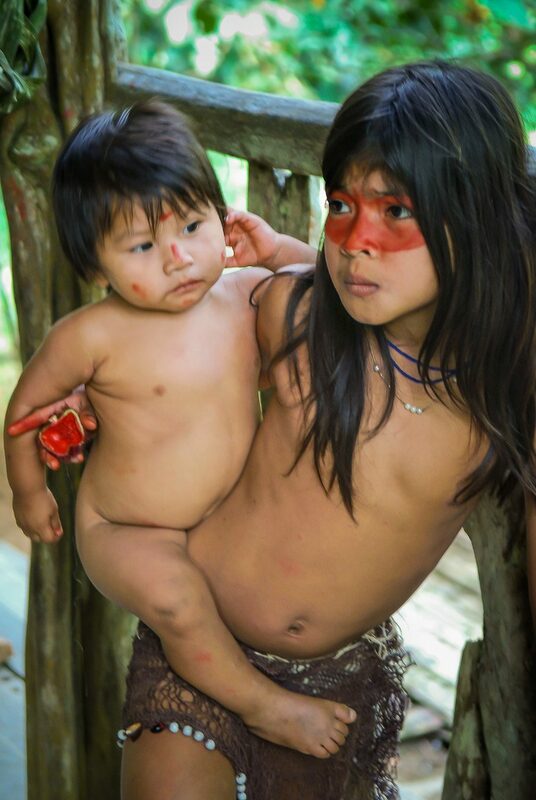 A Huaorani Indian little girl carrying her little brother. In her hand the fruit of the achiote used to paint the figure. This is a snapshot taken sneakingly when some Indian Huaorani women and girls came to visit us abruptly when I was staying in a Amazon cabin owned by a Indian Quechua friend. The Huaorani indians are still feared by many people in the region, and even simply the swording of their name often inspires fear and awe. Taking them a picture is possible but only if they come spontaneously to you and after you make a good contact and tried to communicate at least a good while with them (some of them don’t speak spanish). As I didn’t know for how long they were going to stay for this was all of a sudden visit, I took the risk to take this quick snapshot without asking permission or making contact. Fortunately nobody noticed me. 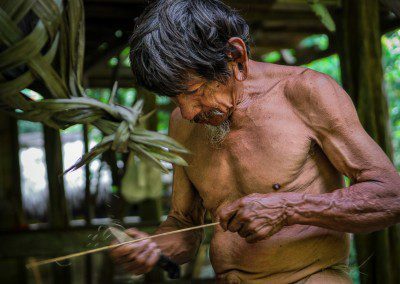 Huaorani, in the Huao language, means « people » or « human beings ». 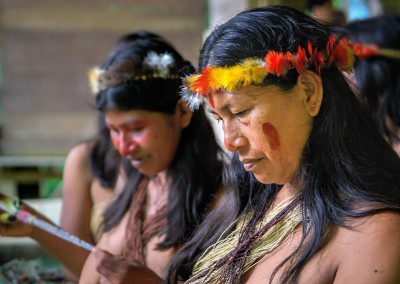 But the Huaorani are also commonly known by the pejorative term « Auca » an ethnonym used by the Quechua Indians meaning « wild ». They are called the most ferocious tribe of the Amazon. 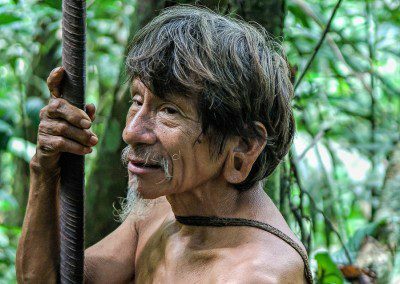 The Huaorani are very aware that the outside world sees them as savages and this makes them uncomfortable, especially the young people.